Combine all of the ingredients for the bbq sauce in a small bowl. Clean and pat dry the chicken thighs. Place in a baking dish and rub the chicken thighs all over with the sauce. 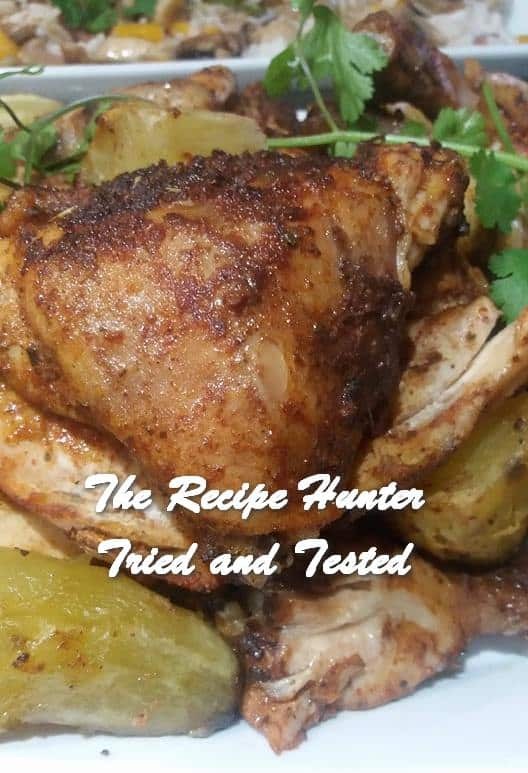 Place on griller OR in oven and bake for 40-45 minutes. Cook until soft and drain and set aside. Braise 1 red onion in oil. Add 2 cloves grated garlic and 2 teaspoon lemon rind. 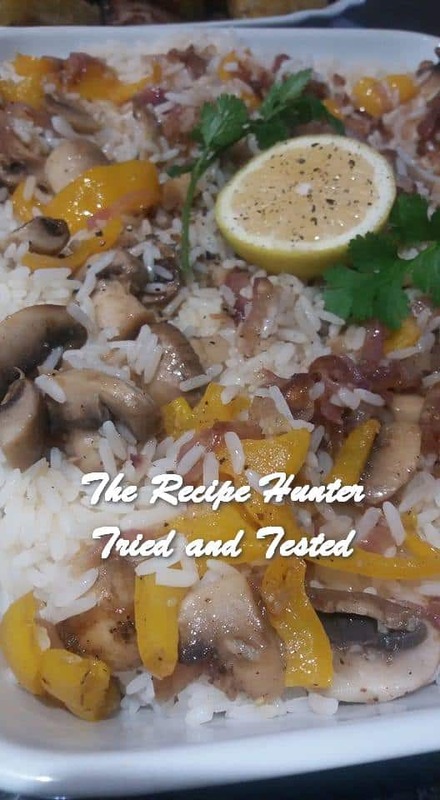 Add above mushroom mixture on top of steamed rice.